steal it from out of our heart. Remember those in need everyday, not just during Holidays. Your compassion, your love expressed brings happiness. A special thanks from Lucy and Roo for the money sent to them. Zachary and Brittany sent money for Roo and money for Lucy to buy something for themselves for Christmas. Like any child, Roo bought a small toy, but then he bought himself some clothes with the remaining money. Lucy received some money from Loretta to use for school. 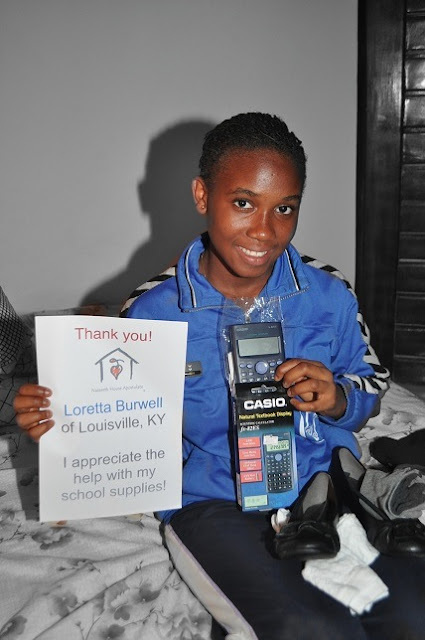 She needed a calculator, socks and shoes, which she was able to purchase with the money. Both Lucy and Roo are grateful for the thoughts, prayers and gifts. Roo is especially proud of his clothes, he's sporting his new favorite new shirt in this photo. 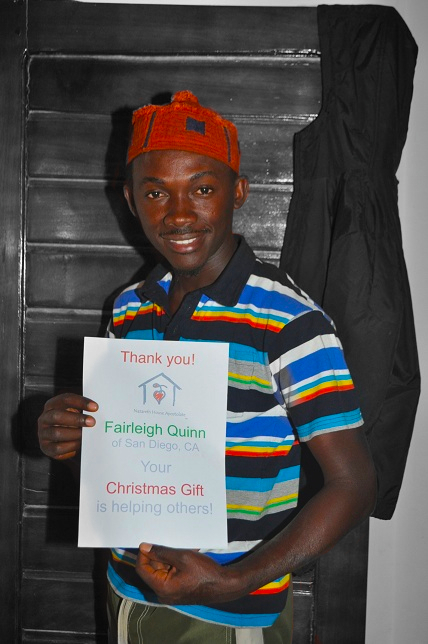 changing lives, bringing smiles..... its all about love.